Hydroponic nutrients include all the substances needed by your plants to grow healthy. These substances include primary nutrients, secondary nutrients, trace nutrients (also known as micro-nutrients), hormones, and vitamins. Additional substances called additives help to maximize the uptake and effect of these nutrients on your plants. When hydroponic gardening, all of these substances need to be considered and provided to your plants in some way. Making things a little more difficult is the fact that the nutritional requirements of your plants will both increase as they grow, and change as they grow. It is important to know the specific nutritional requirements of the plants you are growing. In general, the strength of the hydroponic nutrient solution should increase week by week as your plants grow. Testing the strength of your nutrient solution will require a TDS (total dissolved salts) meter or an EC (electrical conductivity) meter. Secondly, your nutrient solution should be high in Nitrogen until the point where you force flowering. After this point, your nutrient solution should be high in Phosphorus. This change in nutrition is one reason hydroponic nutrients are made into three parts (grow, micro, and bloom). At first (in the vegetative stage) grow and micro are used to produce leaves and stems. Later (in the flowering stage) bloom and micro are used to produce vegetables and flowers on those stems. Finally, the maximum number of nutrients are available to your plants only within a small pH range. 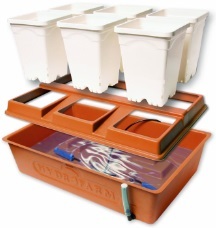 Your nutrient solution must be kept between 5.8 and 6.8 pH, with the ideal range being 6.0 to 6.2 pH. In order to test your nutrient solution you will need a pH test kit or a pH meter. The size of your hydro system will depend partly on the size of the grow light you choose. Whatever size hydroponic system you choose, you will want a 1/2 gallon to 1 gallon of hydroponic nutrient solution available for each plant in the system. Staying within this range will prevent your plants from changing the pH or TDS (or EC) of the nutrient solution too quickly. In this way, you will only need to check and adjust your nutrient reservoir once a day. Example: I had a very successful system with 34 plants. The nutrient reservoir held 15 gallons, and the hydroponic system itself held 10 gallons, for a total of 25 gallons. The system held about 3/4 gallon of nutrient solution per plant and only needed to be checked/adjusted once a day. One final idea to consider when choosing the size of your hydroponic system: it will take you just as much time and effort to test and maintain a small reservoir with 6 plants as it will to test and maintain a medium size reservoir feeding 34 plants. I can tell you from personal experience... if you are going to try hydroponics, you will be more satisfied in the end when you have substantial results to show for all of your time and effort. 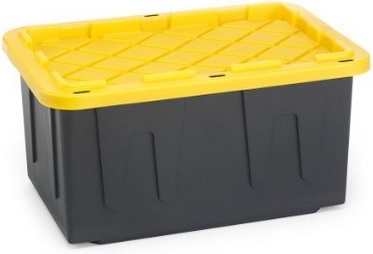 My first suggestion is to keep two reservoirs... one filled with nutrient solution and hooked up to your hydroponic system, the other reservoir filled with plain water for your next nutrient solution change. This way the water going into your hydroponic system will always be room temperature and de-chlorinated (two potentially big problems). Maintaining your nutrient solution is pretty simple. First, check the TDS or EC of the solution in your reservoir. If it is too high, add plain water. If it is too low, add some more nutrients. Mix well and re-check the solution. Once the TDS (or EC) is where you want it, check the pH of the solution. The natural tendency is for pH to creep up over time, so you want the pH to be on the low side of the acceptable range when you check it (5.8 to 6.0). 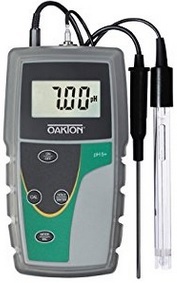 Adjust the pH if needed with pH UP or pH DOWN. Mix well and recheck. 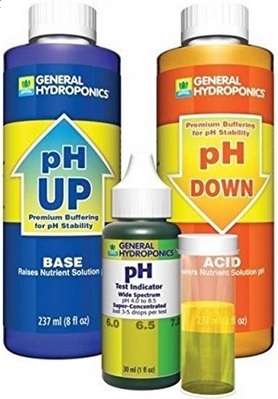 Remember, you should always check the pH last because the addition of any hydroponic nutrients will change the pH. Check to make sure your nutrient solution is between 68 degrees F and 72 degrees F. Any cooler and your plants may not drink as much water as they should. 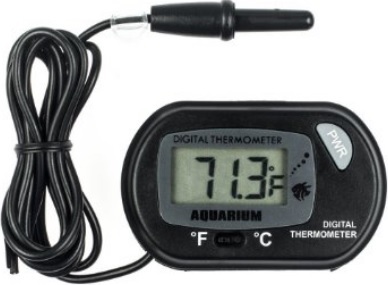 Any warmer and your nutrient solution will not hold as much dissolved Oxygen. Warm water and low Oxygen water will lead to dying roots, fungal infections, and viral infections. Any fungus present will attract fungus gnats. It is important to keep the nutrient reservoir covered to block as much light as possible. Whenever you have water, nutrients, and light you will have algae growth. Algae growth leads to dead algae, which leads to fungus, which leads back to the fungus gnats. Finally, every two weeks you need to empty your hydroponic system and reservoir completely and refill it with fresh water and nutrients. The reason? Your plants may be eating a lot of Nitrogen, but leaving behind most of the Potassium. After two weeks of testing, adjusting, and using the same solution you may have WAY too much Potassium (or other nutrient) in the solution. This is called a nutrient imbalance and will make other nutrients in the solution unusable. As I mentioned above, hydroponic nutrients usually come in three part formulas. One part is usually high in Nitrogen and relied on heavily when your plants are in the vegetative stage. One part is high in Phosphorus and is relied on heavily when your plants are in the flowering stage. The third part is usually made up of many different micro-nutrients that your plants need throughout their entire life cycle. These standard three part formulas, whether from General Hydroponics, Advanced Nutrients, B.C. Nutrients, or some other manufacturer provide plants with the needed major nutrients, secondary nutrients, and trace (micro) nutrients. Using professionally made hydroponic nutrients, your plants should never show any signs of nutrient deficiency. While you may be able to grow perfectly healthy plants with just a core three part hydroponic nutrient, there are a few additives that have undeniable beneficial effects on plant growth/health. 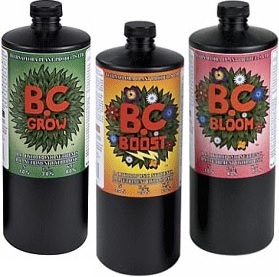 Dozens of hydroponic gardening articles and years of personal experience lead me to make the following statement: Every drop of water, start to finish (except flushing), should contain these three additives... vitamin B1, liquid seaweed, and Silica. If you use no other additive, you should at least be using B1. Vitamin B1, such as Thrive Alive, encourages root health and increases cell division. More cell division = more plant growth. B1 was the first additive I started using, and my plants grew noticeably bigger and healthier than they ever had before! The difference was so significant that I have never stopped using it since. Next, I recommend liquid seaweed, which has over 42 different micro-nutrients in a fully chelated (immediately available) form. Using seaweed, plants stay green and healthy and never show any signs of nutrient deficiency. Even more important than the micro-nutrients are the plant hormones it contains! Hormones control plant growth and the use of many nutrients. For some reason, they are conspicuously missing from hydroponic nutrient formulas today. 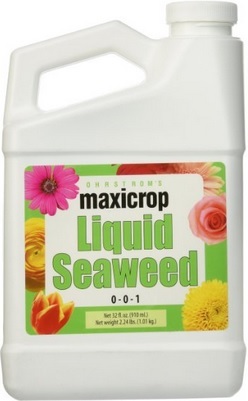 Adding a liquid seaweed like Maxicrop eliminates another layer of things that could go wrong in your hydro system. Finally, Silica helps plants form a strong crystalline matrix at their core. Like bone marrow in people, this core matrix strengthens branches and increases a plants immune system. As a result plants are more resistant to pests, viruses, and fungus and also tend to produce heavier fruits, vegetables, and flowers on branches that support the extra weight. At some point, you run the risk of doing more harm than good by adding too many additives. This is especially true with less experienced gardeners who are not completely sure of how the plants are using the substances (or why). 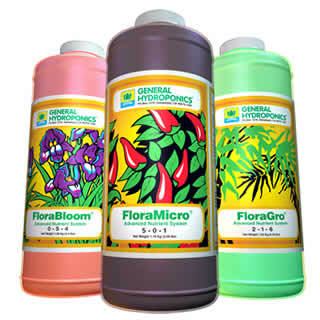 Some additives are given to plants only once or twice at very specific times in the flowering period. Always learn as much as you can about an additive before you use it. It is also a good idea to consult a professional, such as your local hydroponic gardening store owner. I recommend using the basic core nutrients with just a couple of additives until you become more knowledgeable and comfortable with your plants' life cycle, the additives, and their appropriate use. 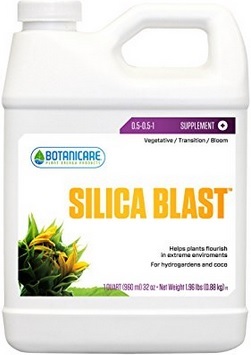 Vitamin B1, liquid seaweed, and Silica can all be used together in your nutrient solution without a problem and will benefit your plants throughout the entire growth cycle. If you are comfortable with your nutrients and additives, I recommend experimenting with humic acid as an additive. In organic gardening, humus forms the base upon which all plant life is built. Humic acid is a powerful chelater, which means it takes nutrients that are not in a usable form to your plants and changes them chemically into forms that are immediately available to your plants. Using a humus additive, such as Liquid Karma, is a great way to add an earthy, organic quality to your hydroponic gardening system. Liquid Karma also contains carbohydrates, amino acids, lysine, and other substances with encourage your plants to pack on extra weight and produce more essential oils. You can use humic acid with vitamin B1, liquid seaweed, and Silica without creating a toxic situation, and the addition of humic acids will benefit your plants throughout the growing cycle (but especially during flowering).